Explorer Adventure presentsYala Peak Climb aroundbeautiful and scenic Langtang Himal where adventure leads you on top above 5,732 m and 18,806 fthigh, with mind-blowing scenery of unique landscapes of Langtang valley and series of peaks of both Nepal and towards Tibet bordering mountains. 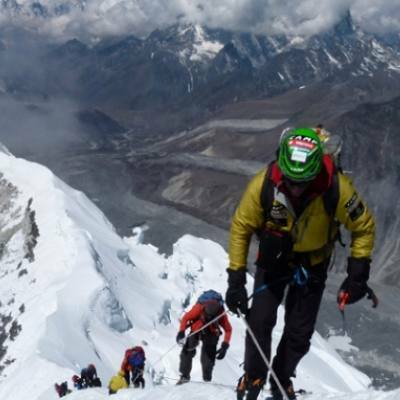 Yala Peak Climb probably the best and perfect peak to choose for beginners in mountaineering climb and as well for veteran climbers as practice and exercise before planning and joining to other major expeditions. 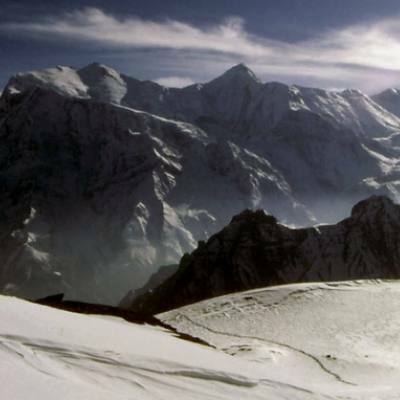 Yala Peak Climb allows you with enough skills and basic technique required on mountaineering facing high elevation and climbing on moraine-ice and snow with walking on glaciers where every steps leads you higher and facing views of marvelous scenery. The climb grade of Yala is just F means Facial Easy taken from French and Swiss Alpine Style Climbing Classification Systems of less technical effort the only challenge is how you cope and take time on climb with an ascent high at 5,732 m, although below 6,000 meters trekking peaks, but leads you to high expectations that requires on climbing skills to reach its summit facing awesome views of peaks that surrounds you. Yala Peak Climb a perfect adventure for all which is of little over week duration of time which makes your holiday in Nepal Himal worth-while climbing and trekking around beautiful Langtang valley. Starting our adventure to Yala Peak Climb, taking early morning drive towards north of Kathmandu encountering many farm villages and towns with warmer temperatures than finally reaching our trekking point at Syabrubesi village within Langtang Himal region of Rasuwa district and home of Tamang the hill tribe of Nepal Himalaya with fascinating Buddhist culture and religions. As trek progress entering into serene and lovely woodland filled with tall rhododendron and pine tree lines which is also a habitats of rare and elusive Red Panda and other wild-life, as walk leads into a river gorge and then into a wide open valley of Langtang Himal at Kyanjin enclosed within giant peaks. From Kyanjin with rest for acclimatization then ready for the big climb on top Yala Peak where walk and climb leads at the end of scenic Langtang valley on least explored areas by other mass flow of trekkers, with much preparation then ascent on top Yala Peak with overwhelming panorama of surrounding high mountains and unique landscapes. After a great adventure and experience heading back on the same route for exciting drive back to Kathmandu with fond memories and excellent time on Langtang valley as well exciting Yala Peak Climb. 1 Day 1: Arrival in Kathmandu and transfer to hotels.On reaching Kathmandu Tribhuwan International Airport where you will be warmly received by our guide and staff and then transfer you to your respective hotels in the hub of Kathmandu city. First check into your hotel rooms on getting refreshed from the flight and with Jet-Lag, then join with other members of Yala Peak Climb and Langtang valley trek for group briefing, where our expert guides will inform regarding your stay in Nepal, hotels, trekking, local lodge and overland drives with do’s and don’ts information, evening welcome group dinner in authentic Nepalese restaurants with Folk cultural programs to entertain you during your meals. 6 Day 6: Trek to Kyanjin Gompa 3,749 m - 04 hours.From Langtang village a short day walk as morning starts with uphill climb for few hours following “mani-prayer wall” where walking clockwise direction a positive way respect to local Tamang culture and Buddhist religion, as walk leads further north east where gorge opens into a scenic wide valley facing views of high snow capped peaks. After few hours of gentle walk with super views reaching at Kyanjin Gompa, on the highlight spot of the adventure at this charming and scenic spot offers grand views of Langtang Lirungat 7,000m and its icefall surrounded by a rocky ridge formed by glacial moraine of rocks and boulders. 7 Day 7: Rest day for acclimatization and for hike around.At leisure and a rest day with time to explore a small Cheese factory or walk up to Tsego-Ri or KynginRi at above 4,700 m / 15,420ft adding more heights of the adventure offers stunning panorama of snowcapped mountains. 8 Day 8: Trek to Yala Peak Base Camp 4,400 m / 14,435 ft - 06 hours.From KyanjinGompa heading to our final goal and highlights of the adventure, walks leads on rocky glacier and then with steep climb into icy trail to reach a flat camping area beneath Yala Peak to set our base camp at 4,400m. 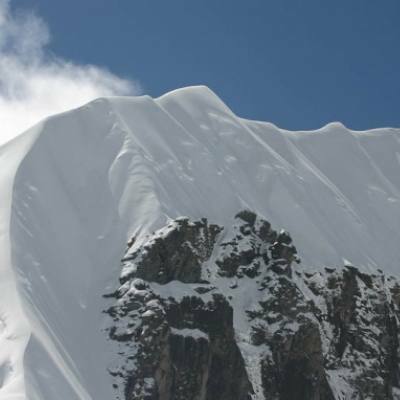 The camp offers super views of Ganchenpo, Naya Kang, TserkoRi, Yala peak and others peaks. 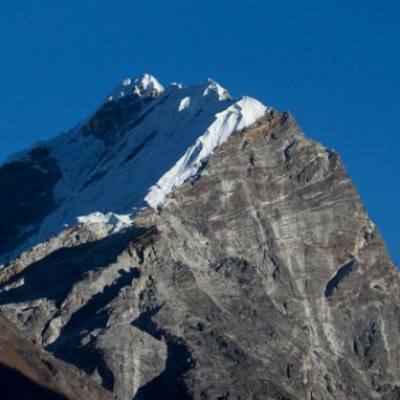 9 Day 9: Climb to Yala Summit 5,732 m / 18,806 ft and descend to base camp.Our adventurous climb on top Yala Peak starts at early morning steep uphill to the summit depending on weather conditions also. 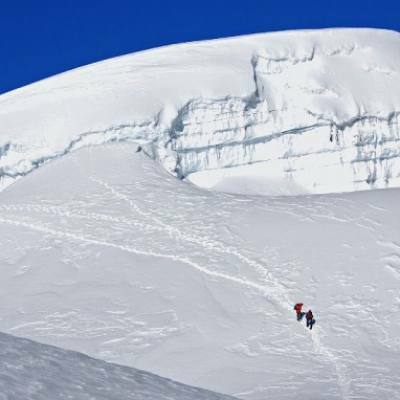 The climb is of less technical effort but it takes about eight hours to reach the summit and back to base camp. After a tough and scenic climb to its summit top at 5,732 meters / 18,806 feet, rewarded with super viewsof Shishapangma, DorjeLakpa, Ganchenpo, Naya Kang, TserkoRi, Langtang Lirung and many other mountains on Tibet side, after a marvelous moment on top descend safely to base camp. 10 Day 10: Return to KyanjinGompa -05 hrs.After a magnificent climb on top Yala Peak, and then leaving the base camp for return trek to KyanjinGompa following an icy path enjoying the views to reach KyanjinGompa for overnight stop in the comfort of nice cozy lodge. 11 Day 11: Trek to Lama Hotel 2,350 m - 06 hrs.After a wonderful time on top Yala Peak and at Kyanjin with excellent views, retrace the journey back on same route to Lama-Hotel a small settlement in the midst of the forest by the bank of upper Trisuli River. 12 Day 12: Trek to Syabrubesi - 06 hours walk.Our last day trek of this fabulous Langtang Himal Panorama trekkinglead you back to Syabrubesi as morning walk follows on the same trail with much downhill past spread-out farm villages and terrace fields and eventually reaching at BhoteKosi River, which later joins Trisuli River, after crossing a suspension bridge a pleasant walk brings you at Syabrubesi for last and final overnights around Langtang Himal area and Rasuwa district. 13 Day 13: Drive to Kathmandu and transfer to your hotels.Morning transfer for an exciting drive back to Kathmandu where drive leads to Dhunche town and then on downhill to reach lower warmer areas around Nuwakot at Trisuli Bazaar, and then few hour drive brings you at Kathmandu on good time with rest of the afternoon at leisure for individual activities. 14 Day 14: Depart for international flight home ward bound or to respective countries.Your last memorable day in Nepal after a wonderful experience on Yala Peak Climb with Langtang valley trekking and great service of Explorer Adventure, and as per your international flight then transfer to Kathmandu international airport for homeward bound or to your respective destinations. Walk and Climb Hours: From minimum 4 to maximum 7 hrs.